Okay, here is my quick story and you can read below about doTERRA specific pregnancy info as well as see some of my oil uses for labor and after care. I just wanted to touch quickly on some uses for oils in pregnancy and my experiences. That is when I began to really see the power of these essential oils and doTERRA’s Lifelong Vitality supplements (a completely different pregnancy than my first with these as my prenatal vitamins). The whole pregnancy + birth experience was so drastically different from my first in the hospital to a home birth with my second. Stephanie taught me so much about listening to your body and the power of your body as well as the power of these essential oil gifts. I have used these oils for early pregnancy and throughout my pregnancy for nausea & energy support, for head tension, back tension, sleeping support, MOOD support (such a huge one with all the hormones! ), and since your immune system is already weakened… IMMUNE support is another huge one! Then comes the fun part at the end of pregnancy with all of the stretching, growing, and uncomfortable feelings. The oils will be there for you all the way through pregnancy (think stretch marks) and the saving grace during birth (thinking calming). See below for info on oil safety from Stephanie Fritz’s site and then some of the oils I have used during labor with my 2nd and 3rd. I am planning on doing these exact same things with my 4th labor because they were so helpful to me and made all the difference in the recovery process emotionally & physically. After Nora (my second birth) born at home with midwife, Stephanie Fritz. From Stephanie Fritz’s website, The Essential Midwife: “You will find warnings everywhere about which oils you should and should not use during pregnancy and breastfeeding. These previously were very valid concerns because of the impurities that were so prevalent in the oils available and the threat that they posed in pregnancy, but now that we enjoy the purity of oils that we have with dōTERRA it is no longer an issue. You may see mixed information out there in different books about oils and their safety in pregnancy and with your newborn. Please understand these books were written with all oil users in mind. They will be ultra conservative because their readers may not necessarily be dōTERRA users. The information I give in my book comes from personal experience in my midwifery practice. dōTERRA has set a standard that reassures us we can use doTERRA oils with confidence in pregnancy. During pregnancy, there is heightened sensitivity so we might use a little less of the oils but they can be used very effectively. In pregnancy, we are very protective about what we put into our body. We should have confidence in the oils through pregnancy and while breastfeeding. Clary Sage is relaxing, calming and soothing. In general, women should not use it during pregnancy unless they have a lot of experience with the oils, simply because there are so many oils that can accomplish the same thing that maybe aren’t quite as aggressive as that one is. Peppermint is a caution only for lactating moms, but only a minor caution, it “may” decrease milk supply for some. Other than that, oils are very well founded for pregnancy. I always say to follow your own intuition. You are the one who was given stewardship over your body, and everyBODY is different, so do what you feel comfortable with. All of the attending midwives at my second birth…what a beautiful experience it was! Now onto the uses of oils during labor for both my home birth and my third birth at the hospital…read on. My saving graces at the hospital in labor and afterwards. The diffuser has been amazing with all different oil combos…Balance & Wild Orange (or Citrus Bliss blend) was the main one we had going on during labor (with my second & third birth). Peppermint and a citrus (energy & focus), lavender & Serenity calming blend (relaxing & calming anxious feelings), Elevation Joyful blend (uplifting & calming to stressful situations) to switch it up. I can’t even count how many nurses came into our room and said it smells so good like a spa! Also, I am always disinfecting my hands especially at the hospital as well as the hospital room with my On Guard cleaning spray. Immortelle as my peri spray to heal up naturally down there especially if you tore (this recipe and all of these recipes are available in Stephanie Fritz’s book, Essential Oils for Pregnancy, Birth & Beyond – click here to get your own copy). The Peppermint water spray was amazing for labor as I had dips in temperature and even after birth I use it to control my temperature. So cooling and refreshing! Read more about the oils I was using for after care of myself and my babies. We have been following the instructions in Stephanie Fritz’s book for the newborn care. Since she was our midwife with our second child and we were able to have her guiding us through everything…the book has been a great resource since she can’t be physically with us. We did Frankincense on the crown of the head and spine with both our second & third babies. This is to increase bonding and as a protection to the baby. The bonding is so strong with this oil – I still remember that smell so vividly and the calming energy it provided. We did Balance Grounding blend on both babies and mama’s feet…we have been using a lot of this during this time of transition. We used Myrrh and/or Frank for the healing of the cord stump. We have been using Melissa on the bottoms of our feet for DNA repair. All of this info is in her book so if you are trying to get pregnant or are currently pregnant…here is the link to her book “Essential oils for Pregnancy, Birth & Babies” by Stephanie Fritz. It’s an awesome guide to have during this process. Let me know if you have any questions about the oils. They have made pregnancy & post partum for baby #2 and #3 so much better. This was definitely my best pregnancy experience yet with no discomfort besides I was huge. Haha. I really believe it was my healthy eating and my oil/vitamin routine. I am excited to experience #4 and I need to start packing up my oil bag now because I know just how important it is! The new products are out today! Hooray! Scroll to the bottom to learn how you can purchase at the deepest discount and get some free oil goodies along the way! Today is a GOOD day! You are going to LOVE these products! Introducing “manly Lavender” 💪🏻 Petitgrain essential oil is derived from the bitter orange tree 🍊, which has a long history of use in traditional health practices. Historically, Petitgrain essential oil has been used for cleaning purposes and it has been used internally to support healthy immune system and nervous system function. By sourcing this oil from Paraguay through our co-impact sourcing…doTERRA is able to create much needed jobs and an amazing oil full of health benefits! ••••••• Think like another version of Frankincense with so many uses, when in doubt (of what oil to use) use Frank or Spike! Spikenard, a flowering plant of the Valerian family, is native to high altitudes in the sub-alpine and alpine regions of the Himalayan mountains. Spikenard essential oil is steam distilled from the roots of the plant and has been valued for centuries, traditionally used to anoint people of high honor and in the Ayurvedic health practices of India. Historically, Spikenard was used to uplift mood and promote relaxation. Spikenard promotes clean, healthy skin. Today, the oil is commonly used in perfumes and relaxing massage oils for its woody, musty scent. 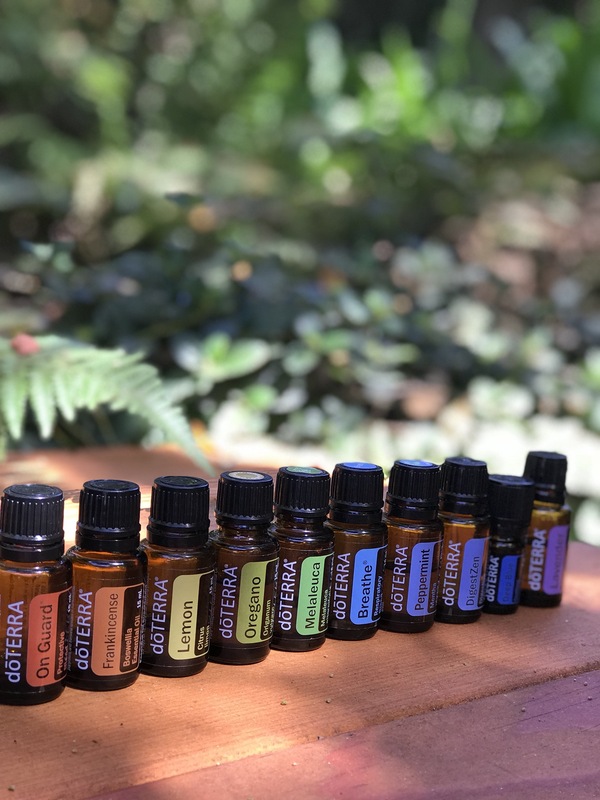 By sourcing Spikenard oil from Nepal, doTERRA is able to support much needed income streams for harvesters and partner distillers, particularly in the remote areas where it is harvested, as well as support needed rural community development projects through our Co-Impact Sourcing® initiatives. The NEW Emotional Aromatherapy Touch kit is pre-diluted in ready to go rollerballs for you! Click here to learn more about each oil blend! Sure, you can make your own rollers from the blends but these are already done for you at an effective ratio with body chemistry in mind. Now for the best part, you can adjust and control your mood all day long…can’t get going? mentally exhausted? Try Motivate Encouraging blend. stuck in traffic? had a bad day? Try Forgive Renewing blend or Cheer Uplifting blend (my favorite!) or can’t turn your mind off at the end of the day? Peace Reassuring blend. Truly a blend for EVERY emotion 🌈 available to purchase Monday, October 3rd! 🌿Moisturizing bath bar, Refreshing Body Wash, Detoxifying Mud Mask, Exfoliating Body Scrub, Replenishing Body Butter, 3 Moisturizing Lip Balms, Fragrance-free Hand and Body Lotion, Citrus Bliss Hand and Body Lotion, and Rose Lotion! See my favorite highlights below! Also includes: Shea butter, cocoa seed butter, jojoba seed oil, and avocado oil. So moisturizing and it smells delicious! 2️⃣ Refreshing Body Wash: Bergamot (purifies and soothes the skin, provides an uplifting yet grounding aroma), Grapefruit (cleansing to the skin, energizing scent that is uplifting), and Cedarwood essential oil promotes relaxation and also good for the skin. This body wash will leave your skin feeling clean, smooth, and fresh! 3️⃣ Exfoliating Body Scrub: Wild Orange & Grapefruit essential oils to cleanse and purify skin. Ginger essential oil is soothing and warming to the skin. Natural sugar cane gently exfoliates skin. Sunflower oil, Sweet almond oil, and Kukui nut oil soothes and moisturizes with no greasy after feel. This scrub not only removes dead skin cells through exfoliation but also replaces vital hydration to keep skin looking smooth & soft. 4️⃣ Lip balms: Herbal, Original (Peppermint + Wild Orange), and Tropical! Each lip balm contains a select blend of essential oils that provides a unique sensory experience. Moringa oil is an emollient that helps improve how lips look and feel. Avocado oil provides hydration, essential fatty acids, and softening to keep lips looking healthy! • The most exciting part… They now have a Natural lemon peel folate instead of the synthetic Folic acid! 🎉🎉 and a New cognitive blend is included as well! •Same price and they will be available October 3rd! Who else is excited?!? This with the PB assist Jr. and the fish oil makes for the perfect wellness package! If you don’t have a wholesale membership account yet…now is an awesome time to join us...click here to learn about having a wholesale membership is like (think a holistic Costco/Sam’s Club membership – no requirements just the deepest discount). Click here to see this month’s welcome gifts from our team. Or I can purchase any of these products for you if interested. Message me: samanthahud@yahoo.com with any questions!